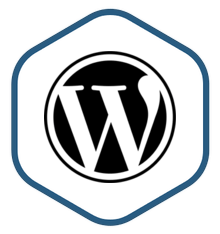 WordPress is the world's most popular content management platform. It includes the new Gutenberg editor and over 45,000 themes and plugins. This image is certified by Bitnami as secure, up-to-date, and packaged using industry best practices, and approved by Automattic, the experts behind WordPress. Bitnami, the leaders in application packaging, and Automattic, the experts behind WordPress, have teamed up to offer this official WordPress image on AWS Marketplace. WordPress is the world's most popular content management platform. Whether it's for an enterprise or small business website, or a personal or corporate blog, content authors can easily create content using its new Gutenberg editor, and developers can extend the base platform with additional features. For content authors, the Jetpack plugin (enabled by default) offers access to additional professional themes, performance improvements, scanning, site activity and marketing tools. Other popular plugins like Akismet, All in One SEO Pack, WP Mail and Google Analytics for WordPress also come pre-installed. Audio feeds can be generated with the pre-installed Amazon Polly plugin. For developers, this image includes the latest version of WordPress, PHP, Apache and MySQL. It is secure by default, as all ports except HTTP, HTTPS and SSH ports are closed. HTTP/2 and Let's Encrypt auto-configuration are supported. Varnish is included to improve performance. Bitnami certifies that its images are secure, up-to-date, and packaged using industry best practices. We continuously monitor all components and libraries for vulnerabilities, outdated components, and application updates. Jetpack plugin is included by default offering access to additional professional themes, performance improvements and marketing tools. Optional automatic backup and priority support is available from Automattic. SSL auto-configuration with Let's Encrypt certificates is included. Configuration is optimized for smaller instances, with additional Varnish caching available to improve performance. Always up to date and secure. Includes the latest available version of WordPress, PHP, Apache and MySQL.